For a series and a character that has been rebooted so many times on screen that it is almost impossible to keep track, this film is a breath of fresh air. It brings to life the comic book as it manages to revitalise Spider-man and his universe in an even more effective, fun and original way than any of its previous renditions. The film is a coming-of-age hero tale, from an awkward teenager to a self-confident superhero. 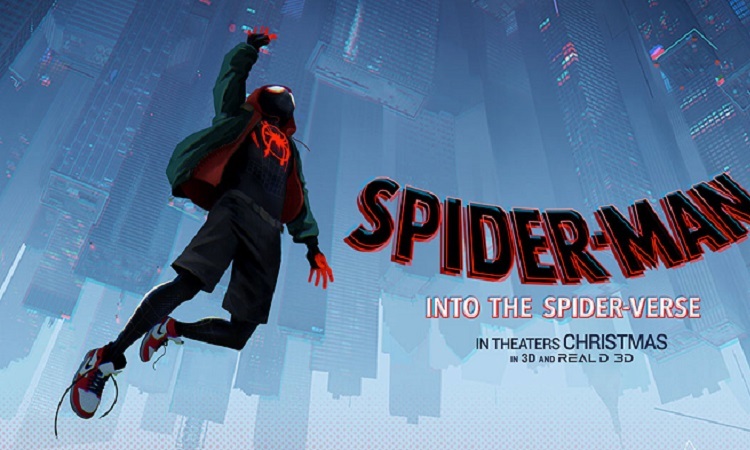 Set in a New York that idolises and commodifies Peter Parker's crime-fighting superhero Spider-Man (Chris Pine), it tells us the story of Miles Morales (Shameik Moore), a mixed-race child from Brooklyn who is struggling to fit into his elite school. How Miles turns into the new Spider-Man, forms a large chunk of the narrative. And, as if that wasn't enough, he accidentally stumbles upon a battle between Spider-Man Peter Parker and the Kingpin (Live Schreiber) over a dimensional collider that opens a portal to other universes, one which leaves Parker dead and Miles committed to stopping Kingpin from taking over. Miles is not alone. There are a number of other "Spider-folks", from other universes to help him in his endeavour. 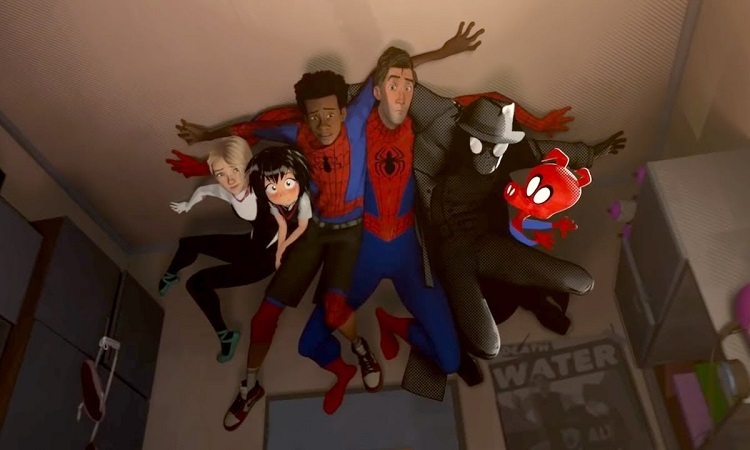 They include the middle-aged loser version of Peter B. Parker (Jake Johnson), Spider-Woman (Hailee Steinfeld), Spider-Man Noir (Nicolas Cage), Spider-Ham (John Mulaney) and Peni Parker (Kimiko Glenn). Liev Schreiber is surprisingly intimidating as a hilariously huge version of the Kingpin. Mahershala Ali gives his sweet tones to Uncle Aaron. Jake Johnson is sarcastic and funny like Peter Parker. Hailee Steinfeld is sweet and tough as a more empowered version of Gwen Stacy and the unmatched Nicolas Cage is perfect as Spider-man Noir. Hearing him play that character with an old-fashioned New York accent, suffering and mingling with the colours of Mile's universe are simply priceless.